The AntiSlip is used as support under the feet or between two sliding materials to create friction and to prevent sliding. With the AntiSlip under the feet you can prevent sliding in bed or get a good grip when moving up in bed. It can also be used as a restraining surface between materials in many of our sliding mats. 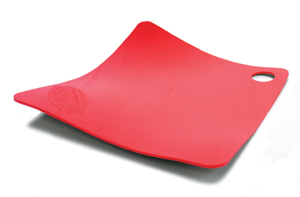 The AntiSlip mat is made of cellular plastic.